​Manchester City forward Raheem Sterling has paid for 550 pupils from his former school to attend City's match with Brighton this weekend, according to newspaper reports. City went back to the top of the Premier League on Wednesday after a victory over Cardiff, but switch gears for cup duty this weekend as they face Brighton, looking to book their place in next month's FA Cup final. Thanks to Sterling, as per the ​Manchester Evening News, 550 kids from Ark Elvin Academy - the school near Wembley that he attended as a child - will be provided with tickets and transport to the match, with the 24-year-old footing the cost himself. The initiative was Sterling's own idea, and is thought to stem from his childhood in the surrounding area, as he seeks to give something back to the community. Speaking about growing up in the area earlier this year, Sterling said: “I was from Wembley. I lived in Wembley. I lived on an estate for a month until my mum got the place in Wembley. From eight to 14, I lived in Wembley. “It's not the poshest area but for me it was an unbelievable area. It was lovely growing up there. I had a great green where there were trees and I used to eat apples there. It was called Neeld Crescent. It's the latest of many positive headlines to emerge surrounding Sterling this season. 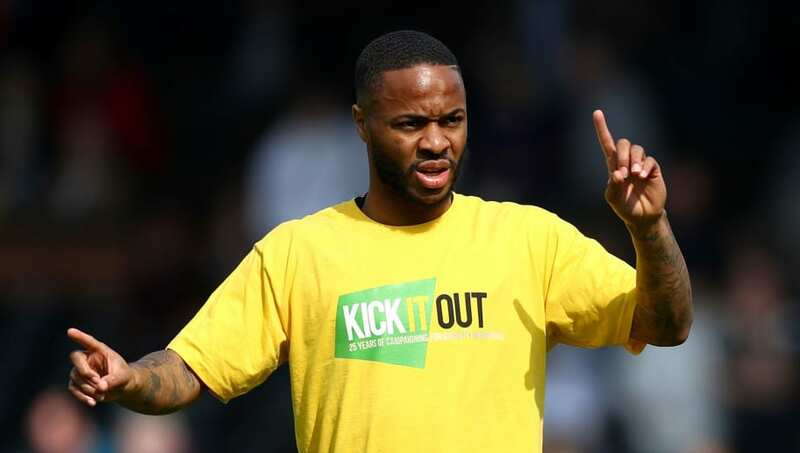 As well as his stellar form for the ​Premier League leaders, the 24-year-old has become a leading voice in the fight against racism, calling out segments of the media for not giving black players an 'equal chance' via ​his Instagram back in December. Most recently, the England international has spoken out in defence of Juventus striker Moise Kean, saying 'all you can do is laugh' amid ​criticism from his captain Leonardo Bonucci for responding to alleged racist abuse from Cagliari fans.